AAUW once stood for the American Association of University Women, but the organization is no longer called that. Now it is simply AAUW, pronounced aaah-ew. The Morgan Hill chapter participates in parades, runs summer camps, doles out scholarships and puts on this race. 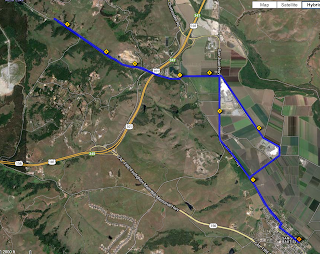 The course is an entirely flat loop starting and ending at a high school in Morgan Hill. Most of the course follows country roads through orchards, plus a bit through encroaching suburban neighborhoods. The distances raced are a kids 2K, a 5K, a 10K and a 5K with stroller. 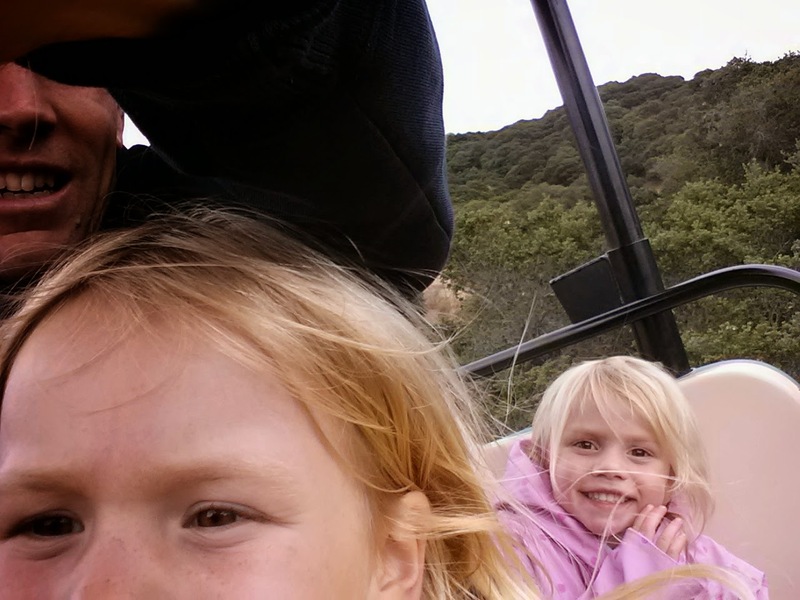 I ran the stroller race for a few reasons, all basically selfish. I wanted force my family to participate, so it wouldn't seem as if I were merely off enjoying myself while Kirsten watched the children. Nobody would need to watch the little girls if they're slumped in their stroller. There wasn't quite enough time for me to make it to the 10K and still catch the end of the girls' 2K race. Most importantly, I figured it was a race I stood a chance of winning. Serious runners would be sprinting along in the 10K, the 5K would have a bunch of high school runners crushing me, and I think the 2K was for 10 year olds or younger. Hornitos is a semi-ghost town located in the Sierra Nevada foothills, about an hour north east of Merced. A semi-ghost town is a town still inhabited, but evincing the detritus of a once larger population. Hornitos was once a mining town, and features the ruins of a Wells Fargo office, Ghiradelli's (the same S.F. chocolatier) original grocery store, and a fantastic bar in an old adobe building. Next time I hit Hornitos I will toss back a few in this bar. Indian Gulch is basically a road to nowhere following a dry shallow watercourse to the south of Hornitos. The race is an out and back down Indian Gulch road, coursing over some rolling hills among spring flowers and a few oaks. The surface is crumbled asphalt once you're on Indian Gulch. The race was held March 16--the day before my youngest daughter's birthday. Madelyn finishes her cake and admires the presents around her. Beautiful party dress, cake on face, loot strewn at her feet--as perfect a moment one could hope to experience. Her birthday is the reason I chose to race Indian Gulch, because her party was held at Grandma's--a 90 minute drive from Hornitos. 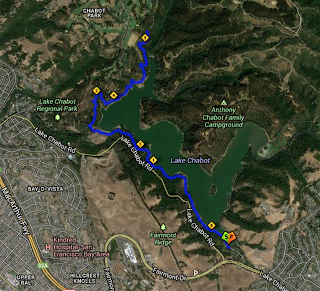 On Saturday Feb 23, 2013 I ran the Chabot Trail Run, a 10K along the shore of Lake Chabot. I ran it in 41 minutes and got 4th place. The event also hosted a half-marathon, a 30K and a 50K race. If I entered the 50K, I'd probably still be up there running. The race t-shirt lists all the distances, so I try to seem ambiguous when I notice people looking at it. Lake Chabot is a reservoir in the hills above Castro Valley. I think I'd visited once before in my life--to go biking with some cousins. Supposedly it's a great place to hang out for picnics and whatnot even though it's a 5 minute drive from dense city. I recall my high school cross country coach teaching us to keep a log to track miles, training, diet, sleep schedule and odds and ends. I think a couple of us listened to him and kept a log for a week or so. During one of my races this year, a guy who beat me asked my my PR in the 10K. I made up some number and he told me it was too slow--since I had just completed a 10 mile run at the pace I claimed for a race 4 miles shorter. So, it would be nice to at least keep track of the races, I figure. First up, the Mission 10 Mile in San Juan Buatista. The Mission 10 is a 10 mile road race put on by the San Juan Bautista rotary club. It was the 30th running of the race, held Jan 13, 2013. I placed 49th out of 270 finishers. I ran it in 1:09. My goal was to break a 7 minute pace, which I barely managed to do. I probably ran the last couple miles in 15 or 16 minutes, so I finished significantly slower than I started. Here we are on the skyride at the zoo. [redacted]@ymail.com9:01 AMWhat am I doing wrong you think? Travis Finucane9:02 AMis this a brand-new pipe, or did it exist before they migrated to v2? Travis Finucane9:03 AMso the source is a Fetch Feed? Travis Finucane9:03 AMcan you share with me the URL? Travis Finucane9:06 AMcan you give me the URL you're trying to use in the Fetch Feed source? Travis Finucane9:11 AMcould you give me the feed URL? 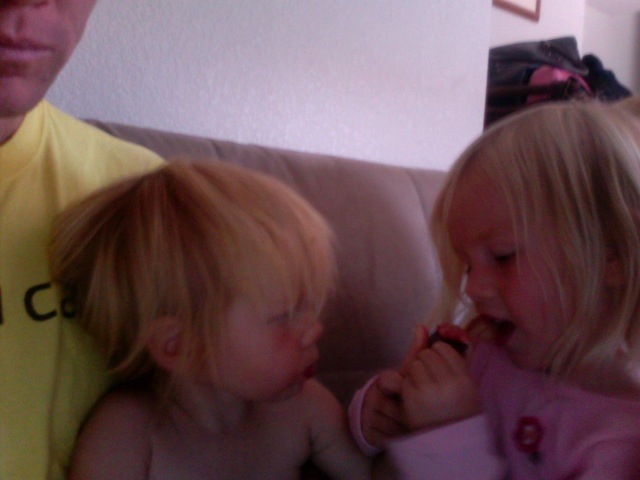 [redacted]@ymail.com9:11 AMThere must be something I am missing. Travis Finucane9:12 AMon the edit pipes page, are you using the Fetch Feed source? Travis Finucane9:12 AMif so, could you give me the url you're inputting in that source? [redacted]@ymail.com9:17 AMThank you anyway. It seems that I wont be able to use it. Travis Finucane9:18 AMhm. Sorry I couldn't help you. Sometimes if you start with a new pipe, whatever transient problem is happening with pipes will go away.